This entry was posted on September 25, 2018 by Allison Holland. It's never too late to change direction in life and customer Jo Aylwin is living proof! Before training as a solictor, Jo had discovered weaving as a student in Norway in 1975. Although in love with the craft, she did not encounter weaving again for another 30 years. The workshop she attended at UCA Farnham in 2005 rekindled her interest and now she is a full time hand weaver, dyer and teacher. Jo, who is a member of West Surrey Guild of Spinners, Weavers and Dyers and Surrey Guild of Craftsmen, teaches regular workshops on weaving and dyeing techniques. The small, personal workshops include all materials and range from 2 - 6 hours. Jo is based in Farnham, Surrey and more information about her courses can be seen on her website www.joaylwin.co.uk. A commission piece woven by Jo. 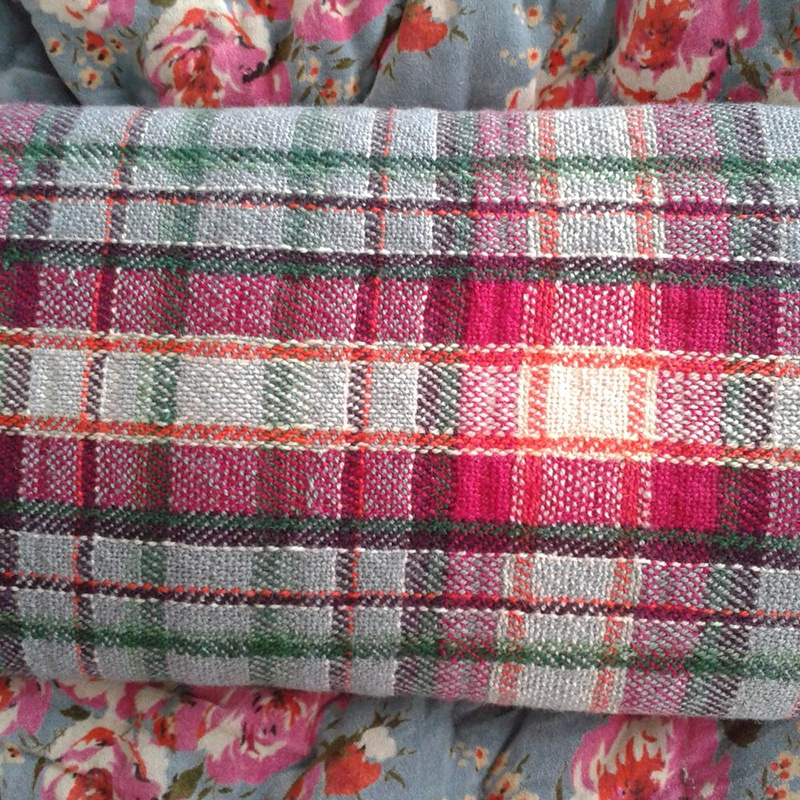 The seat cover is laid over the client's throw which inspired the colours of the cloth. 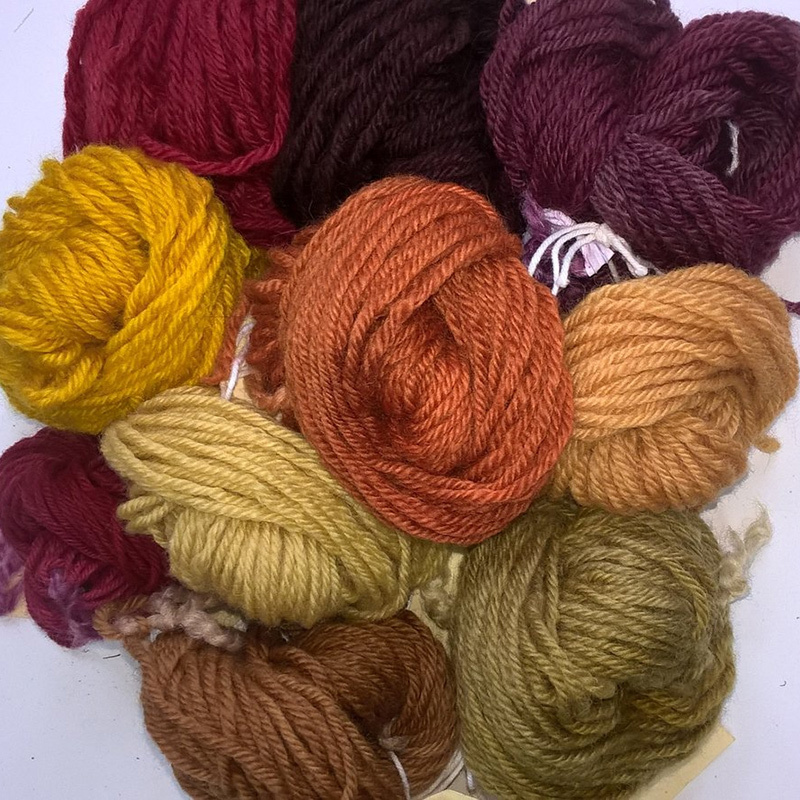 Bluefaced Leicester wool yarns dyed with natural dyes during Jo's workshop in September 2018.